Johnny Crawford comes from a family of professional entertainers, and thanks to the inspiration of his parents and grandparents, he has been entertaining audiences throughout the world over the past six decades as an actor and musician. Johnny Crawford’s entertainment career began in 1955, when he was cast as one of Walt Disney’s original Mousketeers. Following his performance in the NBC Lux Video Theatre production of “Little Boy Lost,” a live broadcast on March 15, 1956, he worked steadily as an actor. Within two years he had accumulated more than 50 television credits. That “western” turned out to be THE RIFLEMAN (1958-1963), for which Johnny received an Emmy Award nomination for his portrayal as Chuck Connors’ sensitive young son, Mark McCain. During his five years on the series, he enjoyed wide popularity with American teenagers and a recording career that generated five Top 40 hits. After the series and high school, Johnny played a native American in the adventure film, “Indian Paint” (1965), a troubled teenager opposite Kim Darby in “The Restless Ones” (1965), and a hopeless wounded victim of John Wayne in “El Dorado” (1967). Johnny’s desire to enter rodeo competition interrupted his acting career. When he was 19, he starred in a production of the Lerner & Lowe musical “Brigadoon” in Cleveland, Ohio, then stopped off on the way home to compete in steer wrestling at Cheyenne. While enlisted in the United States Army for two years, he worked on training films as a production coordinator, assistant director, script supervisor and occasional actor. When he got out of the service, one of his first jobs as a civilian was playing an Army corporal wanted for murder in “By Numbers,” an episode of Jack Lord’s “Hawaii Five-O” series (1968). The “Resurrection of Broncho Billy” won the Academy Award in 1971 for Best Live Action Short Subject, with Johnny in the lead role. “The Naked Ape” was a 1973 feature film in which he co-starred with Victoria Principal. In the 1970’s Johnny entered his last rodeo, restored a 1930 Chrysler and became obsessed with the music of the 1920’s and 30’s, learning the lyrics and chord changes. He made occasional appearances in local clubs accompanying himself on guitar. In the 1980’s he enjoyed time spent appearing in nine plays and listening to his ever growing collection of early dance band recordings. Two years were spent in New York as male vocalist for Vince Giordano’s Nighthawks vintage dance orchestra. 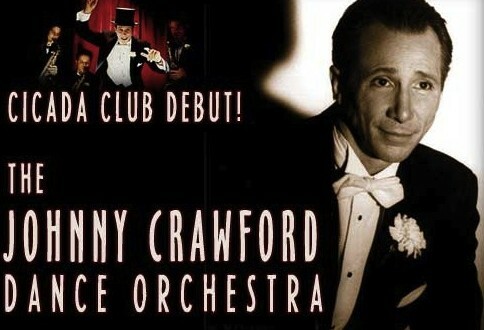 Since 1990, Crawford has led the California-based Johnny Crawford Orchestra, which specializes in vintage dance music for film, education and special events. The orchestra’s first album, “Sweepin’ the Clouds Away, ” is currently available online and in all major retail outlets. Johnny reconnected with his school sweetheart, Charlotte Samco, in 1990, and they wed in 1995. He currently resides in Los Angeles.